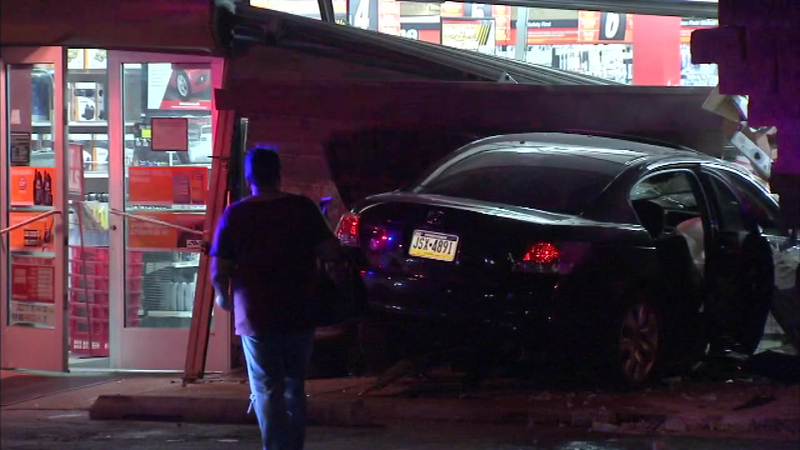 Two suspects led police on a chase through Delaware County before crashing in Southwest Philadelphia. 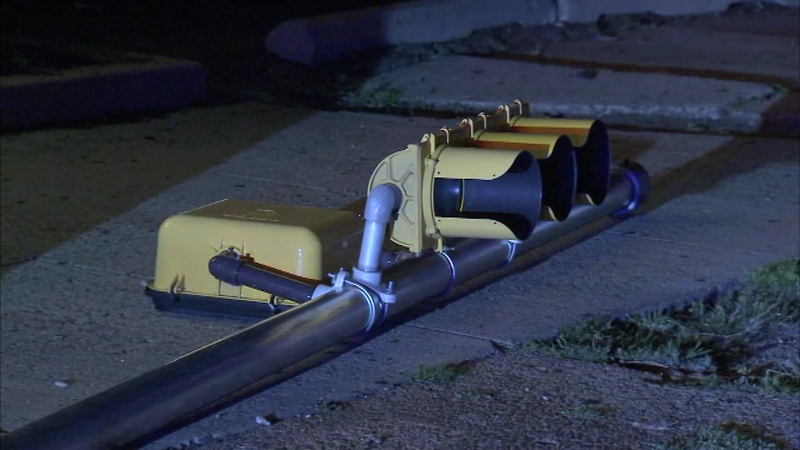 SOUTHWEST PHILADELPHIA (WPVI) -- Two suspects led police on a chase through Delaware County before crashing in Southwest Philadelphia. 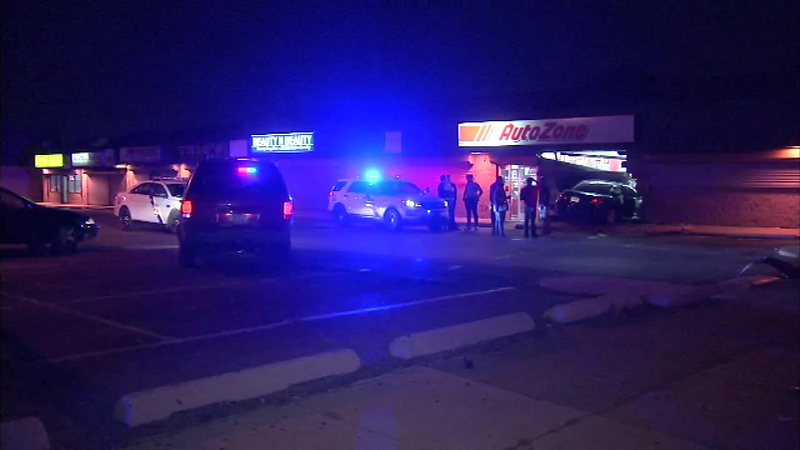 Around 9 p.m. Monday, police in Yeadon, Pa. attempted to pull over a car with the two suspects inside, however, the pair decided to take off. 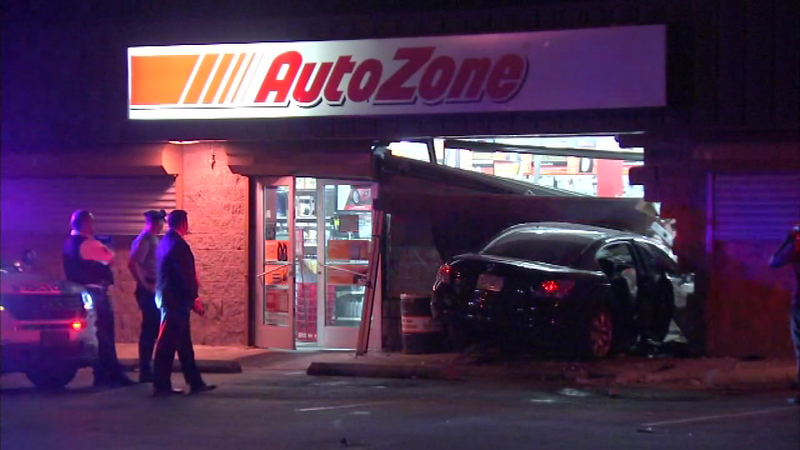 Police chased the suspects through Delaware County and into Southwest Philadelphia where the pursuit ended after the suspects crashed their car into an AutoZone store at 70th Street and Elmwood Avenue. 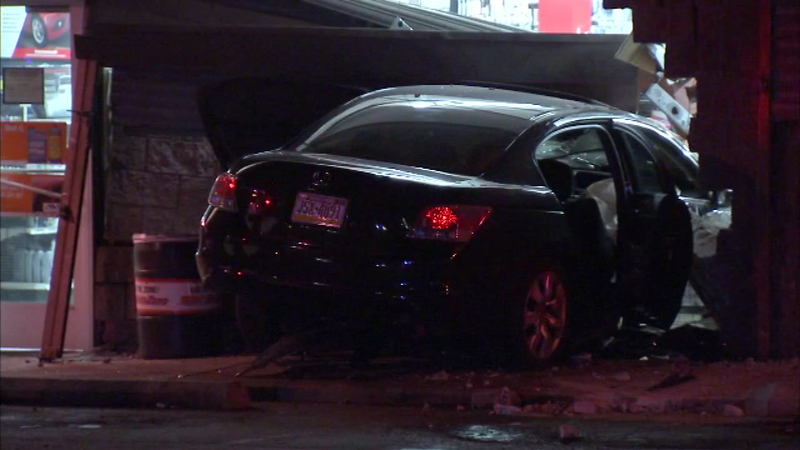 A chase through Delaware County ended with a crash in Southwest Philadelphia. 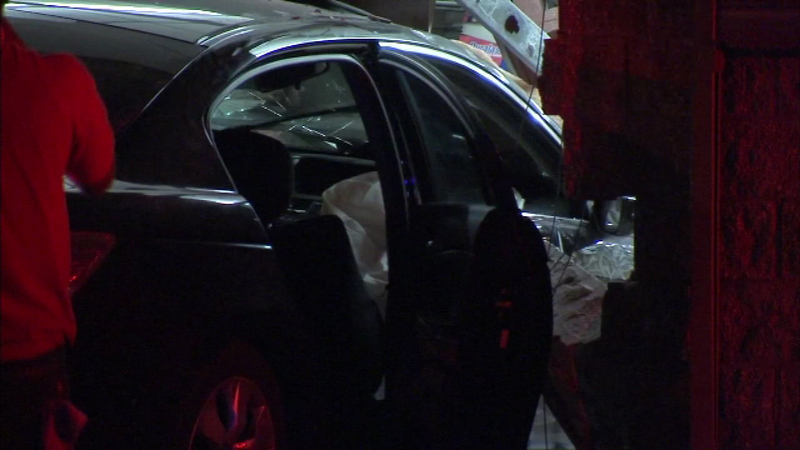 The two suspects were taken into custody near the crash site. 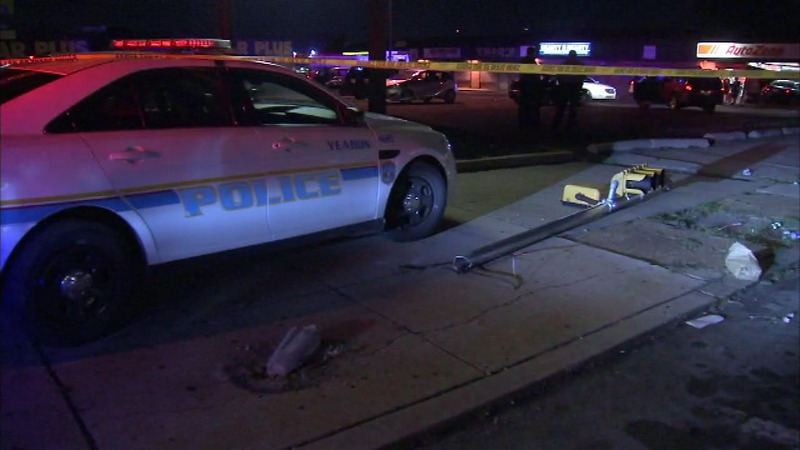 It is not yet known what the suspects were wanted for initially.